It is an ongoing debate whether or not traditional martial arts have relevancy in the current landscape of mixed-martial-arts. Many of its naysayers will point to lack of presence in the competitive stage and the resumes of champions to disrobe its legitimacy. On the other hand, certain TMA defenders will scoff at the notion of competition or argue the aggression of modern MMA runs contrast to the peaceful cultivation of true martial artists. 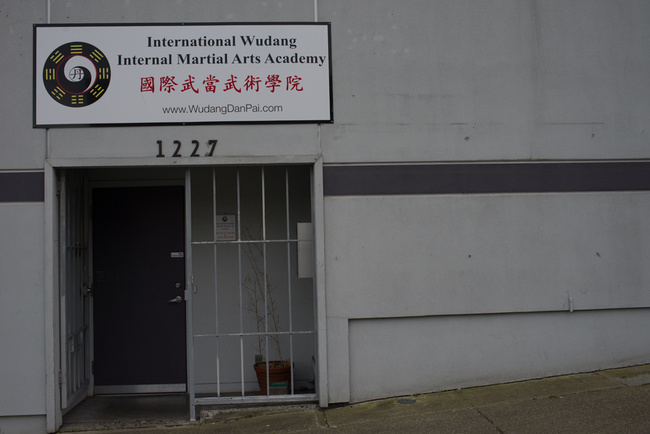 Like most things in the world, the truth is usually found somewhere in the middle, and it is here where I find the Wudang Internal Martial Arts Academy, a small martial arts studio in South Seattle that uses a balanced approach to shine some much needed light on the matter. 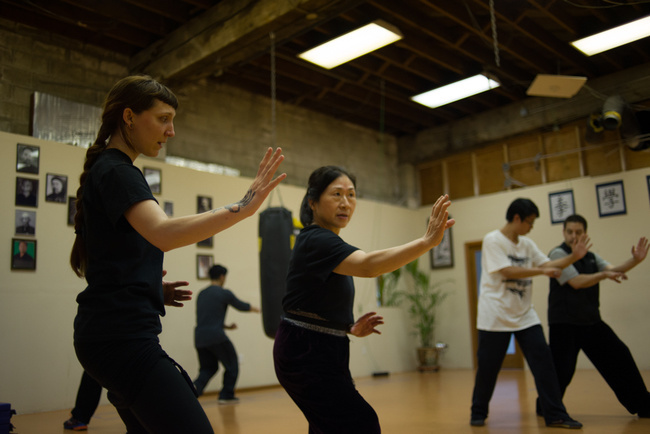 The International Wudang Internal Martial Arts Academy is run by two masters: Dr. Lu Mei-Hui and Master Chang Wu Na, both whom are disciples of the current headmaster of Wudang Pai martial arts, sifu Ma Jie. The origins of Wudang Dan Pai martial arts originate from the Wudang Mountains of the Hubei Province in China, hence the name. The discipline falls under the umbrella term of “internal martial arts” which is a practice of developing the internal aspects of the human body in accordance with the external. Martial arts like qigong or Aikido should ring a bell. 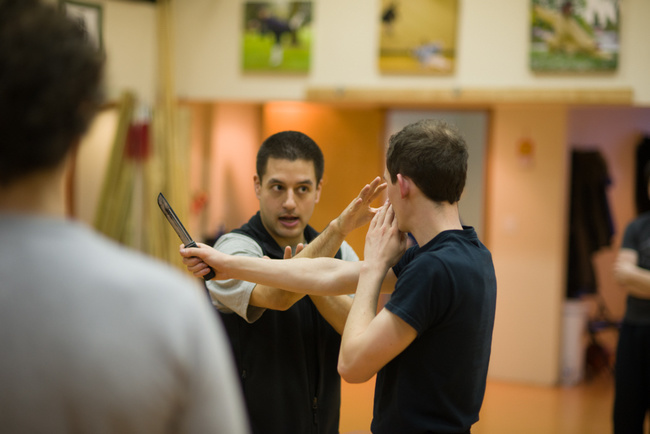 A more specific focus of this academy is on the Wudang Chuan, which is a combination of three classic Chinese boxing styles—T’ai chi chuan, Xing-Yi Chuan and Bagua Zhang—each with very keen distinctions between them. T’ai chi chuan, or more popularly known as “Tai chi”, employs slow, fluid and graceful movements, and is commonly known as a martial art that elders practice in a public park. Xing-Yi uses direct and more aggressive burst movements at short range where intention is clearly stated, while in Bagua Zhang, practitioners walk in circular pattern following an eight-trigram octagonal shape, and strikes and grappling techniques are more concealed. 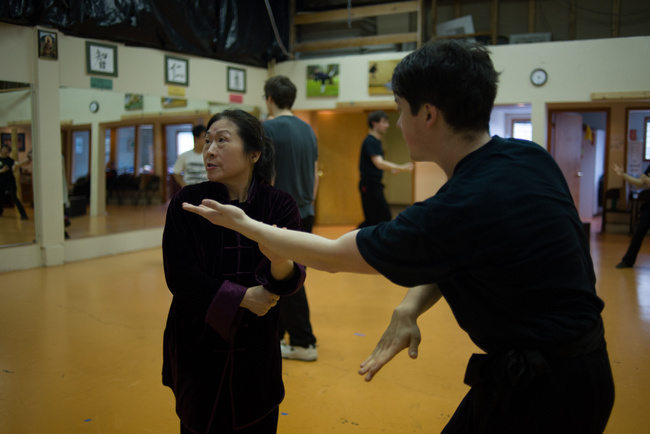 Though Tai-Chi may be the more recognizable by name alone, the other two styles have made plenty of appearance in the media, such as Bagua Zhang inspiring the fighting form of Nickelodean’s Airbender, and the “good” and “evil” characters in the Jet Li film The One adopting both Bagua Zhang and Xing-Yi, respectively. The presence of these forms in the movies, however, is what appears to be part of the problem. Dr. Lu looks and speaks like a kind grandmother, though there is also an underlying sense of firmness to her demeanor. Master Chang, on the other hand, is considerably younger and speaks in a manner more in tune with my generation. Both have a considerable number of traditional martial arts championships between them, and based on their written resumes alone, their abilities could be lethal. But I’ve always been a bit skeptical of the claims from traditional martial art camps, especially when it comes to traditions that involve backgrounds that sound almost like folklore. Many of those doubts, however, are addressed when Dr. Lu invites me to participate in a couple of their courses. About halfway through a tai-chi class, the doctor places her hands above my wrists and instructs me to move them. I make a decent effort to do so and fail. She tells me to try again. I take in a deep breath, reassess my approach and push harder. About fifteen-seconds in, I begin to break a sweat, but her hands don’t budge. Now I’m not saying that I’m the strongest person in the world, but I am in my 30s with plenty of boxing and jiu-jitsu experience under my belt and I cannot move this 64-year old woman’s hands. Afterwards, I stick around for a self-defense seminar led by Master Chang, and during one of the drills, we’re instructed to place the base of our palm below the ridge of our opponents’ nose and flip back their head. The intended effect is to throw the opponent off-balance with a simple flick of the wrist. I try the movement a few times but the best I can get is maybe an exaggerated head-nod from my partner. Master Chang comes by and lightly places his hand under my philtrum, then flips my head back with such a sudden and abrupt force that I would have toppled over had he not caught me with his other hand. I’m told in both instances that I’m focusing too much on the force and not enough on the technique. I’m sure some of the amazement of those feats could be attributed to it being a planned drill, but planned or not, the displayed knowledge of body placement and mechanics is impressive. Despite my failed attempts, both Dr. Lu and Master Chang compliment my showing and ask if I’ve had any martial arts training in the past. I tell them my background is in western boxing and some Brazilian Jiu-Jitsu, and that most of my contact with martial arts exists within televised competitive fighting styles, making my exposure to the traditional martial arts limited. Naturally, a discussion on the topic ensues. “I don’t think there’s been a lot of people who have competed period in traditional martial arts, at least in Chinese traditional martial arts,” responds Master Chang when I ask why there aren’t many champions with a traditional martial arts background in competitive cage fighting. 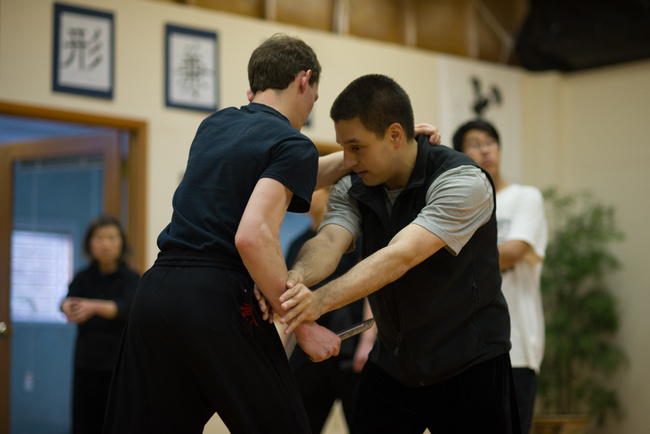 “I think the reasoning behind that is because the people who practice traditional martial arts are a certain type, of a certain mindset, and a lot of schools of Chinese martial arts, they don’t emphasize that sort of competition that much, which is not necessary wrong or right, but it lends itself to having a bad name sometimes, or at least it opens Chinese martial arts for criticism from the West. I bring up the argument of how the lack of presence on a competitive stage like cage fighting suggests a notion that traditional marital arts are ineffective. After all, the original intention of the UFC was to prove which fighting style reigned supreme. Master Chang had different thoughts on the matter. He brings up a valid point. Intention should always be taken into account when discussing the legitimacy of a fighting practice, and a controlled environment is entirely different from one that is life-and-death. But I’d also argue that televised matches are an undeniable testimony to displaying the efficacy of a fighting style, and unless one is personal witness to a real-life situation, the evidence becomes hearsay. Without a way to truly simulate the latter scenario, I guess that is a bridge remaining to be built between the two worlds. But it is a misnomer that this difference puts the two approaches at odds and also a gross generalization that all traditional martial artists scoff at the styles of competitive fighting. At least in the case of the Wudang academy, there are ways in which the two can inform one another. Her claims of training in experienced competitive fighting arenas are not unfounded. She once taught English to Anatoli Rubin, the former head coach for the Olympic boxing team of the Soviet Union, and received boxing instruction during the language exchange. She also spent some time training with professional kickboxer Iro Evanson, and holds a vast library of knowledge to a variety of fighting styles. In regards to her comment about health, it is worth mentioning that she is also a certified practitioner of Chinese medicine and acupuncture, two elements that are incorporated into her approach to fighting. 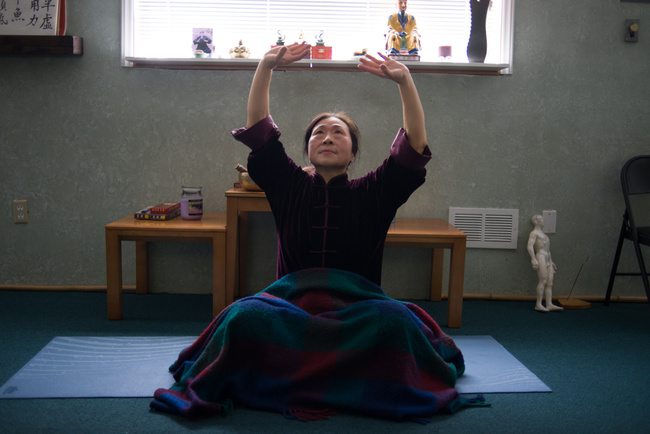 Much like Fightland’s piece on “Breaking and Healing in Martial Arts”, the focus of the Wudang is set upon both the fighting ability and physical well being of their students. However, they also contest that integrating the softer, healing elements of martial arts will actually enhance the harder and more aggressive aspects of competitive fighting. At least for Wudang, the debate between traditional martial arts and competitive martial arts is kind of a moot point. They are essentially two sides of the same coin. To find out more about the International Wudang Internal Martial Arts Academy, please visit here.